$14 in advance, $16 at the door. After much-acclaim and sold-out performances, Charlotte’s Jazz Arts Initiative’s (JAI) monthly series—The Jazz Room @ The Stage Door Theater – keeps the swing swingin’ on February 16 & 17 with a tribute to the legendary saxophonist WAYNE SHORTER by Grammy-award winning New Orleans tenor saxophonist Derek Douget. The Stage Door Theater is part of Blumenthal Performing Arts Center, at the corner of 5th and College in Uptown Charlotte. Derek Douget has gained the reputation as one of the top tenor players in New Orleans for more than 20 years. In addition to his work with the Ellis Marsalis Quartet and the New Orleans Jazz Orchestra, Douget leads his own ensembles – when he isn’t busy directing the Jazz & Heritage Foundation’s free education program, the Heritage School of Music. Douget has been described as a performer who “serenades audiences with equally powerful and melodic vibes as he switches between alto, soprano, and tenor sax throughout his sets…Douget contains an advanced jazz dexterity that is reminiscent of Sidney Bechet and old world New Orleans.” Douget performed with the New Orleans Jazz Orchestra on the 2010 Grammy Winning Album “Book One,” which received a Grammy Award for Best Large Jazz Ensemble Album. 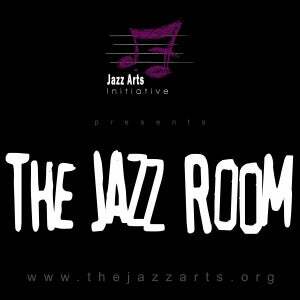 More information on the Jazz Arts Initiative.